Sony Music hasn't pressed a vinyl LP since 1989. The conglomerate got out of the vinyl business fairly early in the technology revolution that brought the "noiseless" CD to the market. The first CD was introduced in 1982 and the sales of the sliver disc passed those of the LP in 1988. A year later, Sony was out of the vinyl business. 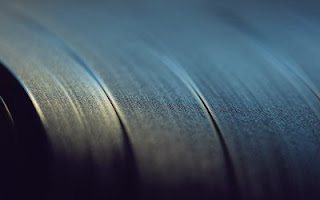 While DJs still used vinyl extensively, the number of pressing plants eventually dwindled to single number before, about five years ago, the interest in vinyl began to grow. Now, vinyl releases are a regular occurrence with sales increasing 50% from 2014 to 2015 while the numbers for CD and, no, digital downloads, have been decreasing. Sony plans on opening their new pressing plant in Shizuoka Prefecture, Japan in 2018 with a concentration on producing new versions of older titles even though they will also be pressing newer material. This past February, the label installed equipment in their Tokyo recording studio to cut the masters for production. The move was initially made because demand for vinyl was so strong in Japan and there was only one pressing plant in the entire country. While many would expect the vinyl revolution to be driven by older consumers via nostalgia, a full 70% of vinyl sales in 2016 was to consumers 35 and under.